Ahmad holds a M.Sc. in Electrical Engineering. He worked as Application Support Engineer at Nortel Networks for 15 years before he joined the Canada Revenue Agency in 2008. 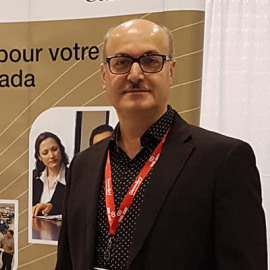 He is the outreach coordinator and a Research and Technology Officer in the Scientific Research & Experimental Development (SR&ED) Division at the Toronto Centre Tax Services Office.